How to change timeframe for this code [Supertrend 3]? I have this code of Supertrend 3, when I run it on scanner of Amibroker. It always search for 5min signals only. 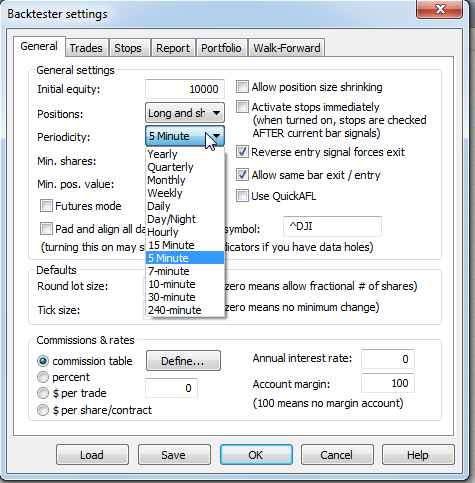 Can you change it to 15min and daily timeframe so that it works n give signal based on new timeframe? Which line of code determine the timeframe. Please Help.. I already know that actually I run many timeframes code in separate analysis window simultaneously for live alerts. If i will choose 15min den other afl wont work on 5min. So please tell me how to change the code for custom timeframe?? If you are talking of plotting only then use this. Other than this I assume you know about scanning or else you would not have written about scanning in your first post itself. amit bhai how do we use that code ? do i need to paste that at end of super trend or where do i paste that ? Have not tested , am out.But think you must replace the supertrend code line which plots the price with for 15 min time frame.